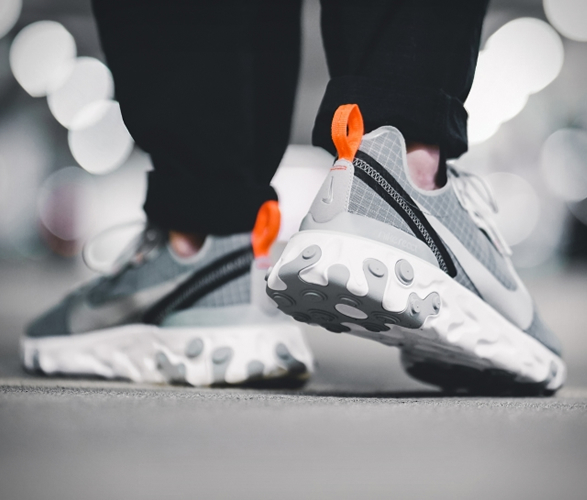 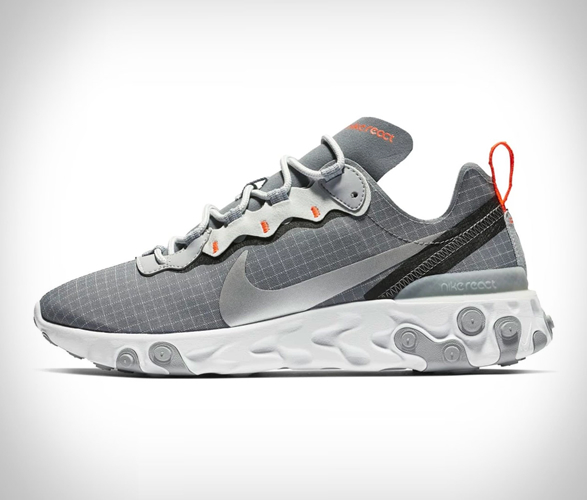 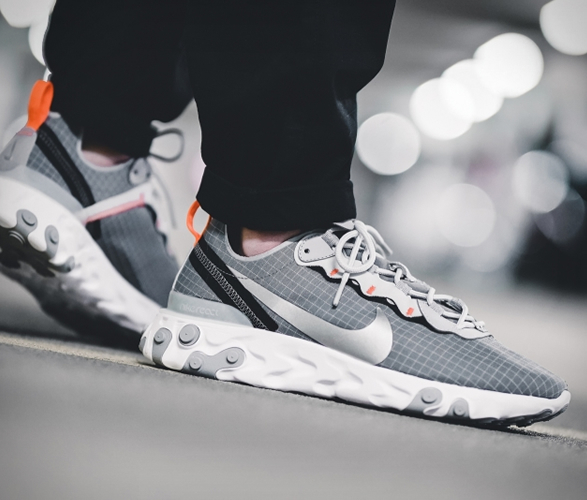 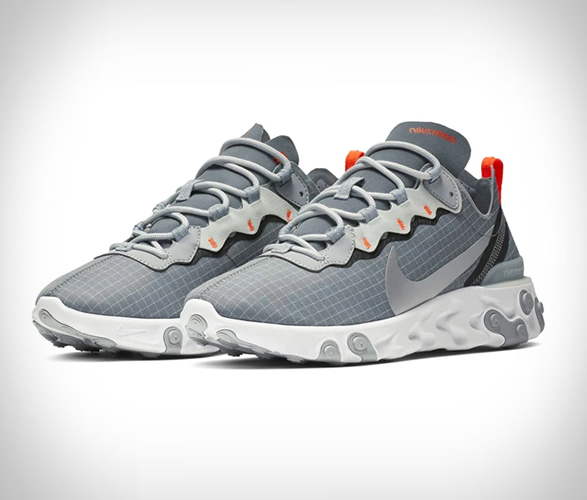 The Nike React Element 55 embraces history and pushes it into the future, featuring a React foam midsole for lightweight comfort and reflective details for a cutting-edge look. 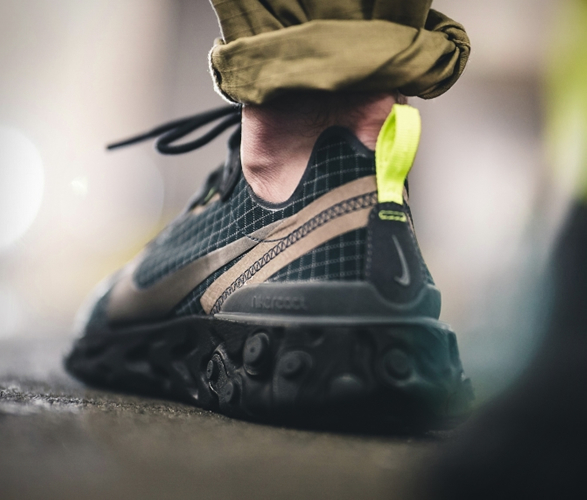 Next up for the Element 55, is arguably its most attractive set yet, the "Grid Pack" comes in hot with two distinct colorways, each equipped with a familiar gridded pattern that became popular with the Swoosh during the 1990s. 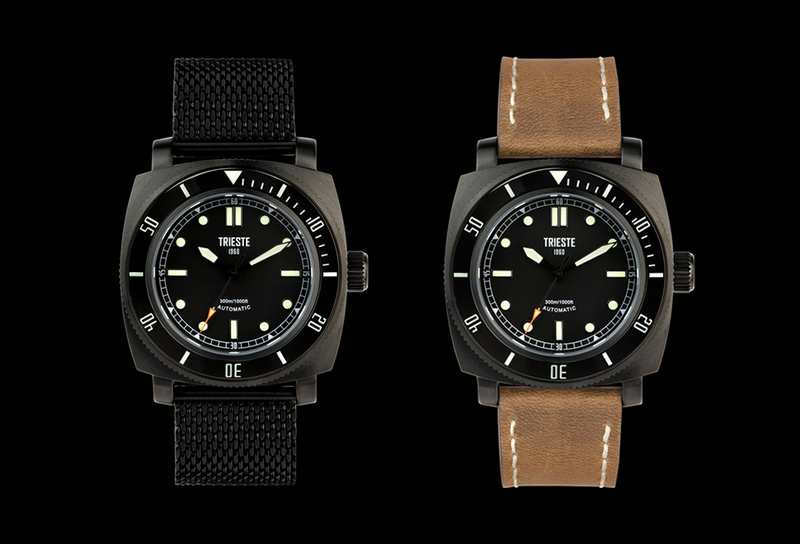 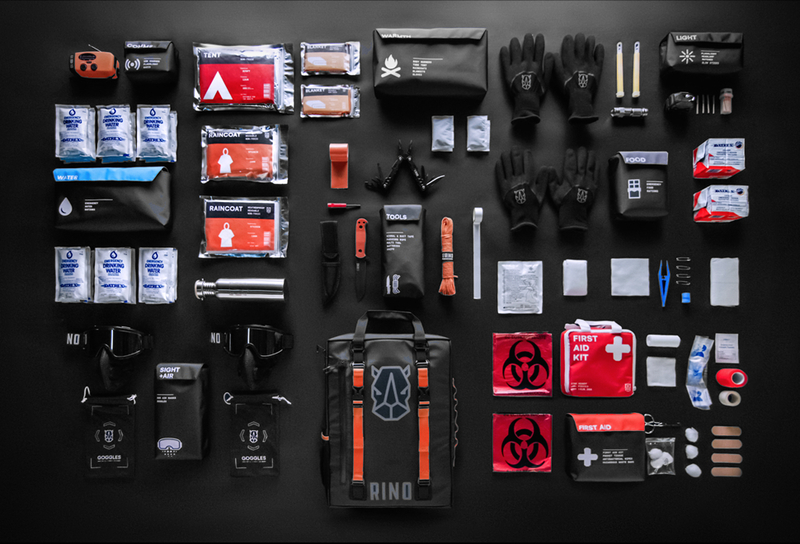 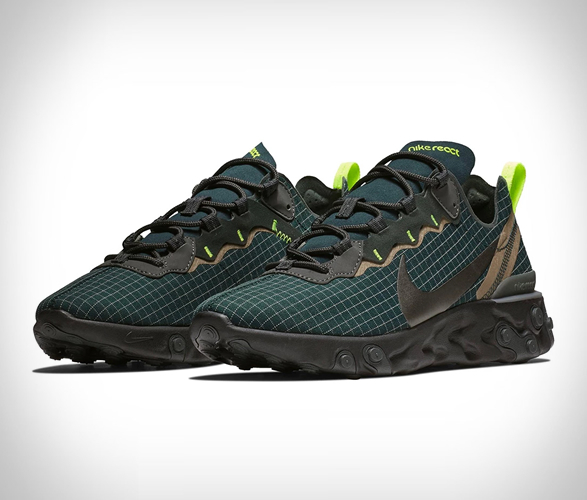 Choose between a darker Armory Navy aesthetic with Volt and brown detailing as well as a Cool Grey iteration that gets help from Hyper Crimson and Metallic Silver. 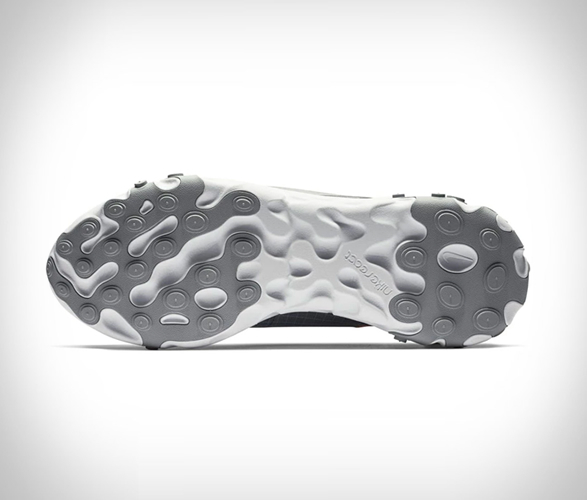 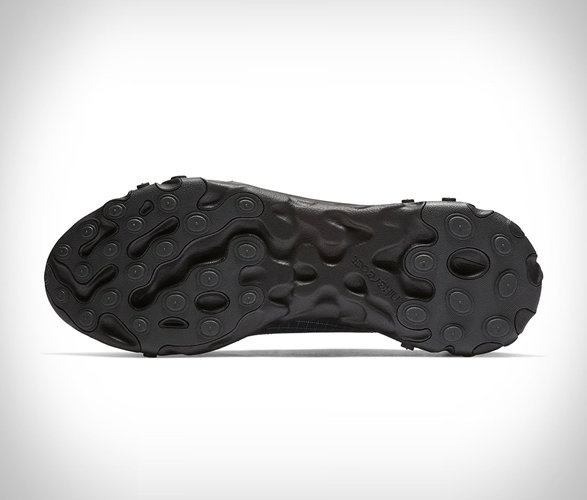 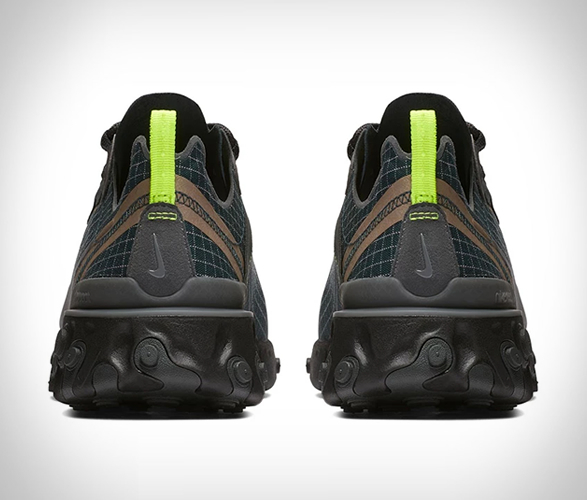 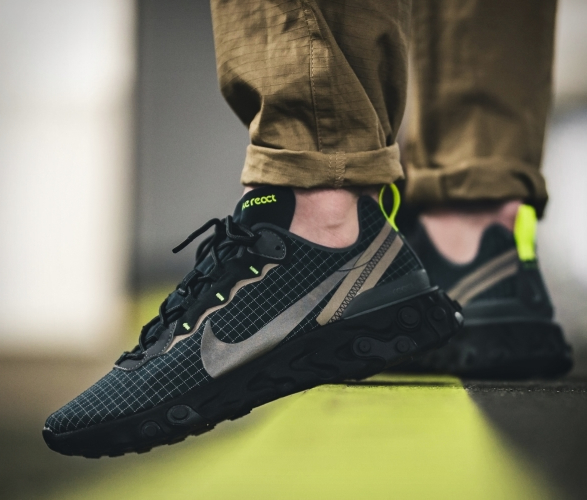 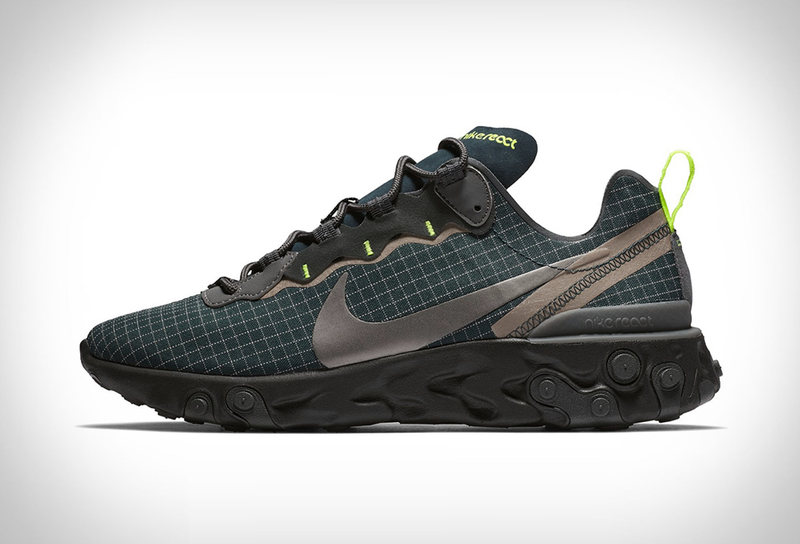 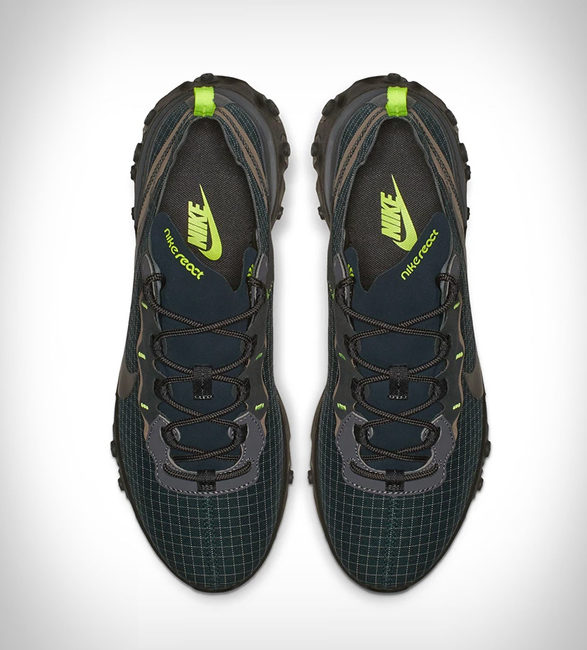 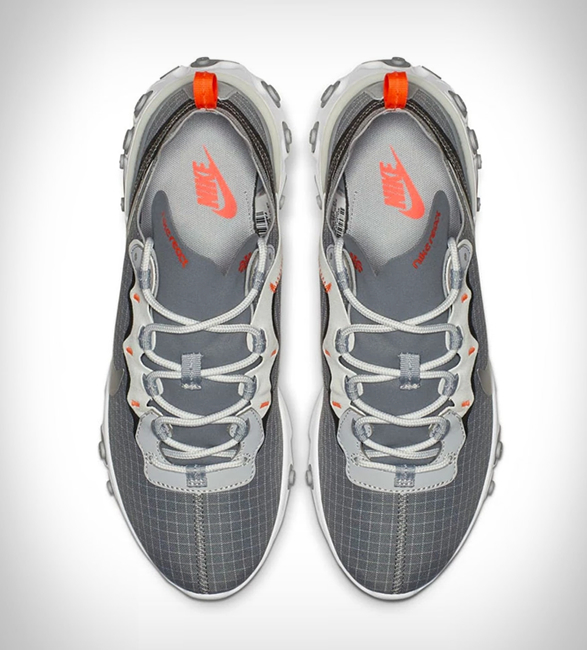 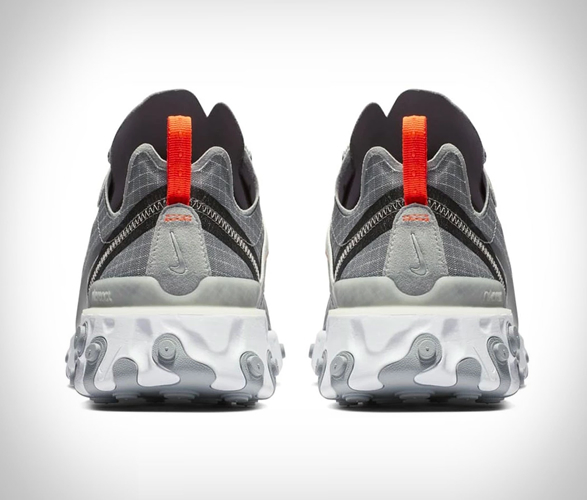 Both sit atop a React Element sole unit with tonal outsole plugs.